Sherbrooke, Que. 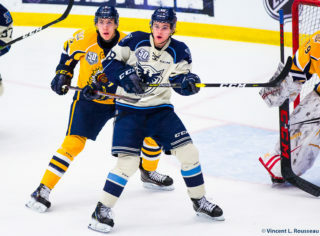 – Baie Comeau’s arrival to Sherbrooke was disastrous and their exit was equally as ugly. The Drakkar’s team bus got stuck on Rue Terrill as the club rolled into town on Wednesday night, and after a lengthy contest, the Phoenix sent them home empty handed. Sherbrooke used three period goals to sail to a 6-2 victory over Baie Comeau on Thursday night. The second period was interrupted by a piece of broken glass which delayed the game by an hour. 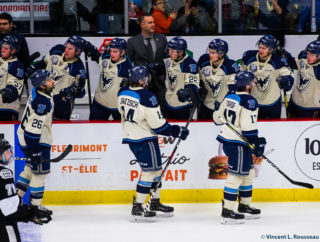 Sherbrooke seemed unbothered by the occasion however, improving their record to 29-20-1-1 and jumped to eighth place in the overall standings as they inch closer to clinching a playoff spot. Going into the stoppage of play, the Birds were leading 3-1. With the risk of the game needing to be rescheduled had they not of founded a solution, the head coach was excited that the show would go on and how his players responded to the situation. “Those are definitely circumstances that we cannot control but the boys used it to their advantage. The guys took off their skates, some got on the bike, others played soccer and we put music on in the room, so we took it positively. It goes both ways and I think the guys responded well to the incident,” explained Stephane Julien. 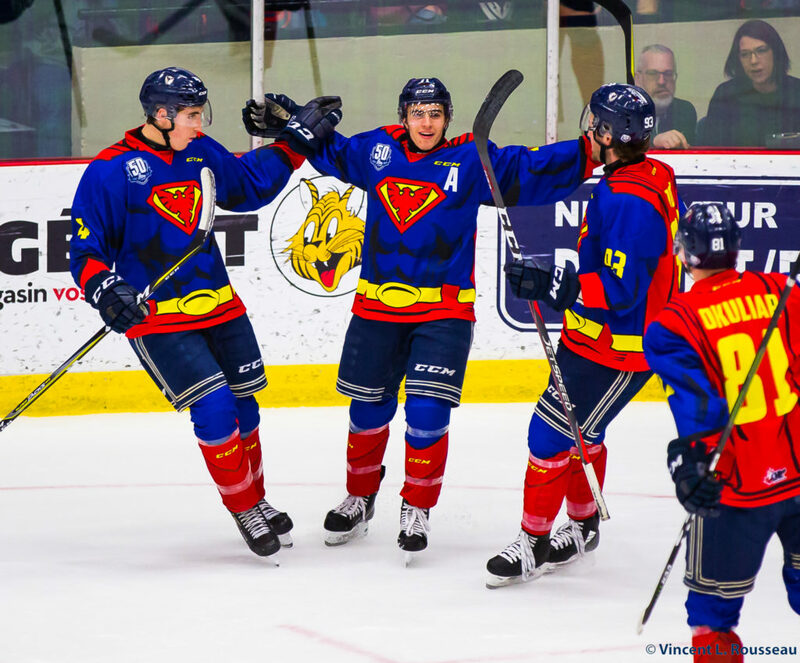 Dakota Lund-Cornish was feeling heroic on a night where the Phoenix sported Superman style uniforms to raise awareness for mental health, as the Birds netminder stopped 42 of 44 shots to earn himself the first star of the game. After falling behind just 1:39 into the game, the Phoenix scored three unanswered goals and never looked back. Yaroslav Alexeyev gave the Drakkar the early lead, but Félix Robert slid his 17th of the season through the wickets of Sherbrooke native, Alex D’Orio, to tie the game at 1-1 before the end of the first period. Moments before the glass broke less than three minutes into the middle frame, the Phoenix grabbed a two-goal lead, scoring a pair of goals in 1:01. Bobby Dow put the Birds on top, before Benjamin Tardif beat D’Orio from a sharp angle to capture the momentum going into the delay. When play resumed, Ethan Crossman pulled the Drakkar within one but that was as close as the visitors would come. In the third, Bailey Peach capitalized on a cross ice pass from Patrick Guay to regain the two-goal advantage and Bobby and Dow and Félix each scored their seconds of the game late to close the door on the victory. 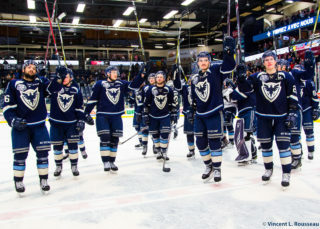 The Phoenix look for their third straight win on the end of a back-to-back against the Val d’Or Foreurs on Friday night at the PDS. Stay up to date with the Phoenix on social media.